Walk throught the forest and listen to the noise of the river. 1. Come back on the same way. 2. Take the Chemin du Vernex. 3. Take the Chemin du Droutzay then Aigue-Noire and La Corbaz. Start from the Hotel des Sources in the village of les Diablerets. 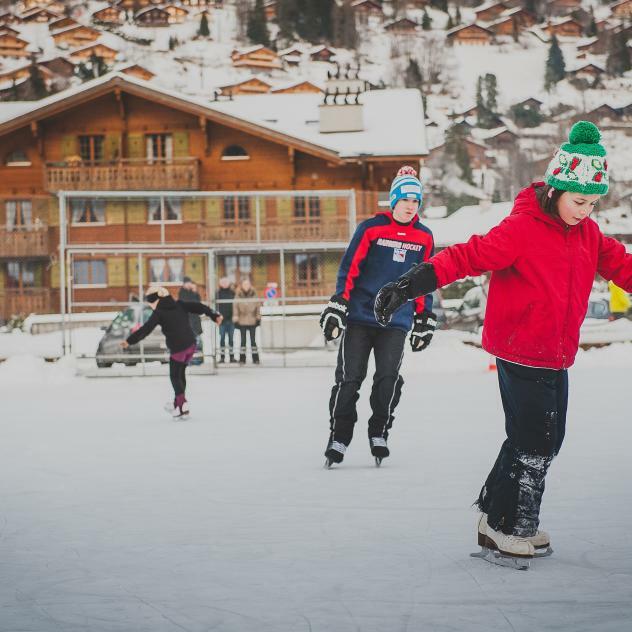 In winter, have a variety of pleasure and profit from the outdoor and indoor ice skating rink in the heart of Diablerets. 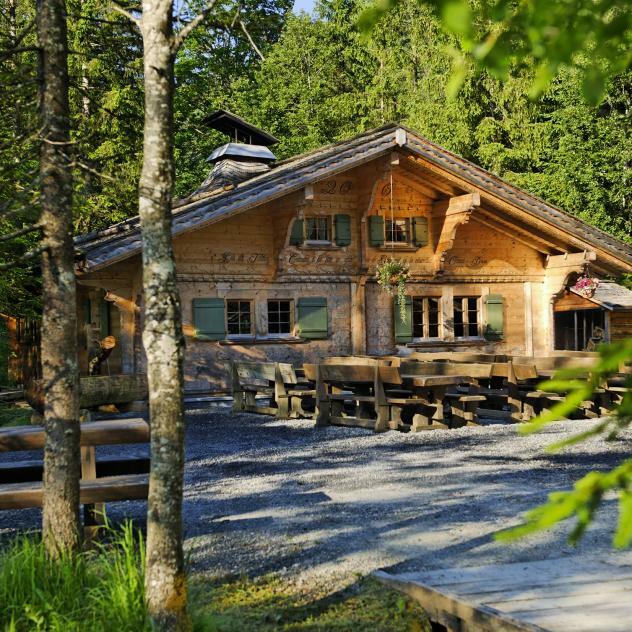 A typical chalet in a preserved natural setting, ideal for group gatherings.